Turn Key Real Estate Management Services in Fort Worth – What Should I Look For? Turn key real estate investing in Fort Worth TX offers a relatively safe, reliable investment strategy that can provide steady returns on a predictable schedule. There are a handful of great turn key real estate management services in Fort Worth TX that you can turn to for information on buying, holding, and leveraging rental / investment real estate (without managing the properties yourself) to improve your investment portfolio. While profits are generally going to be smaller than high-risk investments, you can increase the value of a turn key real estate investing opportunity in your city by seeking out investments that have a couple of key options. The typical turn key real estate investing opportunity in Fort Worth is static. In other words, you are effectively putting yourself in the position of a retail investor: You will be satisfied if you keep making the same investment returns that you realized the very first day of your investment. You aren’t necessarily trying to substantially improve upon those returns through strategic management. In other words, you probably aren’t choosing a turn key Fort Worth real estate investing opportunity because you expect a particular property to increase in value in the short-term so that you can turn around and sell it at a huge profit. Instead, you choose it because it provides you with a reliable income from the first day, an income that can be banked upon over time and that can offset the cost of your investment while simultaneously building equity. While strategic management can offer higher profits in a shorter amount of time, it also requires you to take on a dynamic role in your investment by paying more attention and being more active in managing your risk and reward. Or you have to turn over control to a third party – such as an investment counselor or a broker – and trust that they are going to make investment choices that are in your best interest. Some types of investments – such as stocks, bonds or commodities – are made according to the efficient market hypothesis. This theory states that the price of a security at any given time is an accurate reflection of all the available pertinent information. Markets determine prices because at the moment you purchase an asset, the built-in efficiencies of the marketplace have pushed the price you pay to the true value of that asset. This theory, which has been around since the 1960s, is relevant for paper assets. But it has no bearing on turn key real estate investing, which is a good thing. Unlike stock exchanges, real estate is an inefficient market. In other words, the value of the turn key real estate investing property you buy may not necessarily be its true value. That’s because price-setting in real estate is solely a function of whatever the buyer and the seller agree upon. That negotiation is based entirely on their own circumstances and condition of the property and often has little to do with the larger marketplace. So value in real estate in general – and in turn key real estate investing in Fort Worth in particular – is actually more of a moving target. It also means that if you are a skilled negotiator or experienced at turn key real estate investing (or both), it’s entirely possible that you can negotiate a price that is considerably lower than the intrinsic value of the asset, which is impossible with most other types of investments. With turn key real estate investing, you have greater influence on the value of your property than if you were to invest in, say, corporate stocks or municipal bonds. 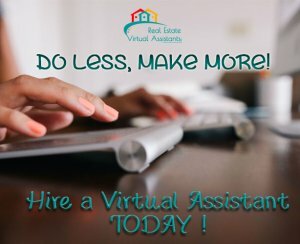 A local turnkey real estate management service in Fort Worth TX like All Wholesale Properties can help you realize those returns with less hassle. Want to learn more about turn key real estate investing in your area? Then contact us today at (817) 550-5069 Opt# 8 or connect with us through email on our contact page!